In a series of docu-reality style programs, Relentless Quest, World's Fastest Workboat explores one season of lobster boat racing in Maine, weaving in the competitive history of lobster fishing. Filmed in HD to capture the stunning beauty of Maine's coast, the program follows selected racing boat captains and delves into their families' and community's lobster fishing stories. It highlights not just the unique sport of work-boat racing, but the rich traditions, generational rivalries, and lore of an ancient occupation with a colorful past. With substantial TV attention focused on NASCAR's premier tours, Persistence Media launched the reality-style racing show Inside Line in 2004. Broadcast on regional sports networks, Inside Line captures the action, excitement and intensity of regional racing action. Persistence Media is developing a broadband-based platform to reach the desired 15-34 male demographic interested in motor sports through on-demand, online multimedia streams with interactive elements and retail opportunities. Persistence Media specializes in traditional broadcast and online programs that assist advertisers with reaching their targeted demographic through entertaining programming and embedded product placement and endorsement. 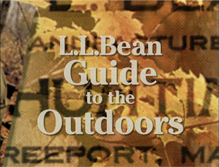 For example, Persistence Media worked with LL Bean to produce the "LL Bean Guide to the Outdoors," a half-hour hunting/fishing program involving complex travel and production staffing, and resulting in stunning and compelling television. LL Bean Marketing VP Shawn Gorman, nephew of company founder L.L. Bean, says Persistence Media "has the tools and creativity to get the job done." Persistence Media works with corporations to assist them with their multimedia needs and commercial advertisements. The first ever online video for LLBean.com was a Persistence Media production on the making of wreaths in Washington County, Maine. Automotive supplier Castle Products selected Persistence Media to produce its TV spots. Hospice of Southern Maine called upon Persistence Media to assist the non-profit healthcare in producing a documentary style video chronicling HSM's growth from idea to construction of a new facility.